OEM approved epoxy seam sealer is offered for drip rails, trunk seams, core supports, roof seams, and much more. 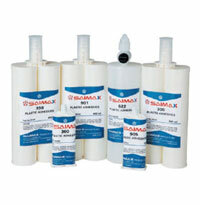 Saimax produces high performance, high solids, non sag, epoxy seam sealers. Different quantity of packaged seam sealer is offered for different uses. Seam sealer for heavy bodied applications is offered. It is suitable for the area where high quality, fast setting, and fast paint time sealer is required. Fast curing high performance seam sealer. Applications: Truck bed seams, tooled door skin seams, core support seams, floor pan seams and other various applications where bare metal seam sealer is required. Tough and flexible seam sealer. Duplicates factory look within few minutes. Surfaces: Used on Epoxy and Polyurethane primers. 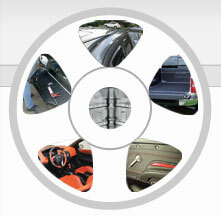 Applications: Used to duplicate factory door skin seams as well as other factory seams. Adhesive with excellent low temperature properties, toughness and strength. Factory look sandable seam sealer. Provides smooth finish without any gun lines. Surfaces: Used on Epoxy and Polyurethane primer and also on fully cured acid-etch primers. Applications: High performance sealer for door seams, roof channels, truck bed floor and drip rails seams and trunk seams. Sandable and paintable in 25 minutes. Applications: Flexible seam sealer duplicates factory look on the various seams such as tooled door skin, truck beds, floor pan, etc. Ideal where cosmetic and fast curing are required.